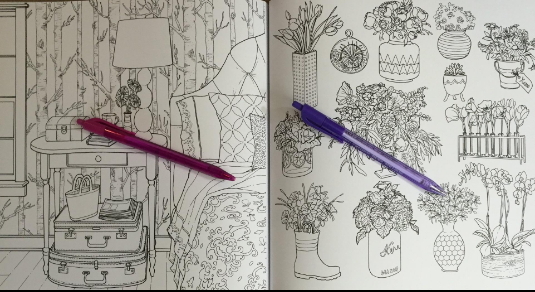 Coloring books for adults are so popular that it seems everyone with a following wants to create their own. Some results are better than others. In this case, best-selling authors Sherry and John Petersik of the Young House Love blog have done an outstanding job. 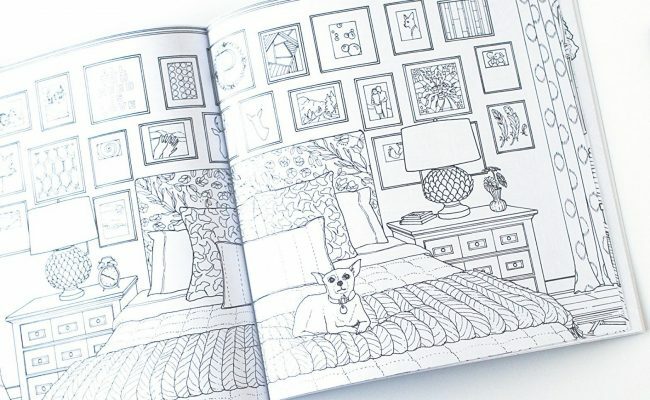 They've created an interior design coloring book for their fans and other home decor lovers. 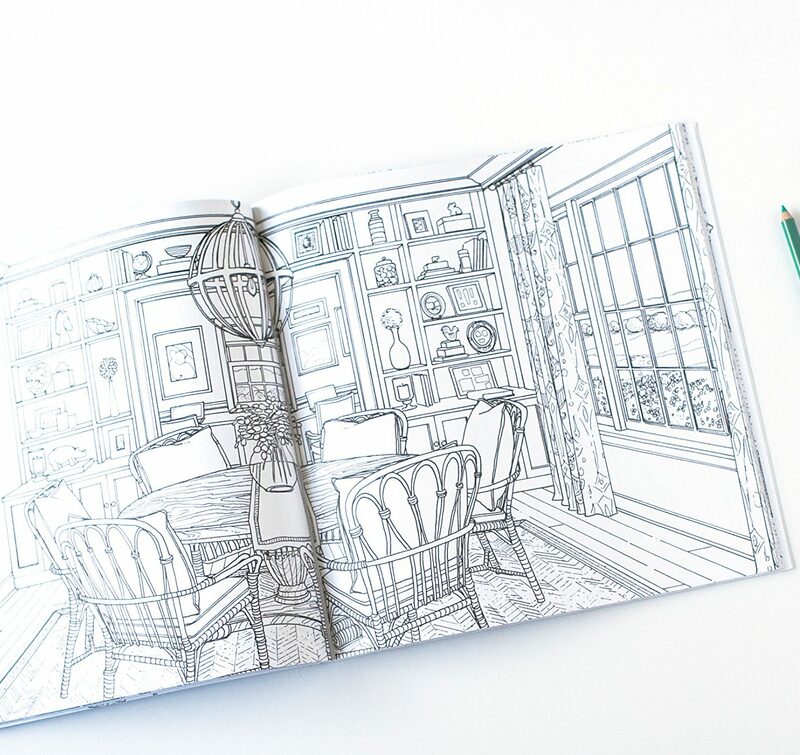 The images by Joan Borawski really deliver with detailed scenes of interior decorating. 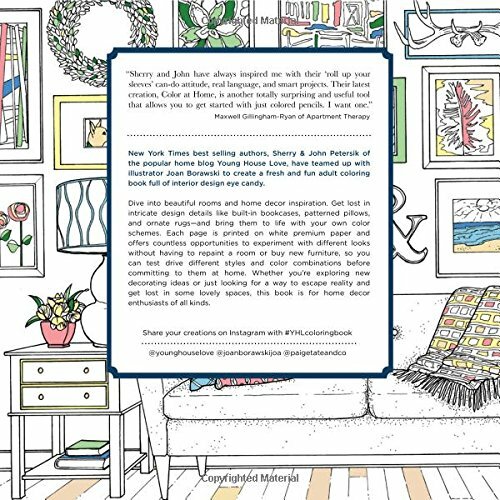 You'll find patterned pillows, wicker baskets, artwork on the walls and throw blankets on the sofas. Everything is ready for your custom touch with coloring pencils and pens. 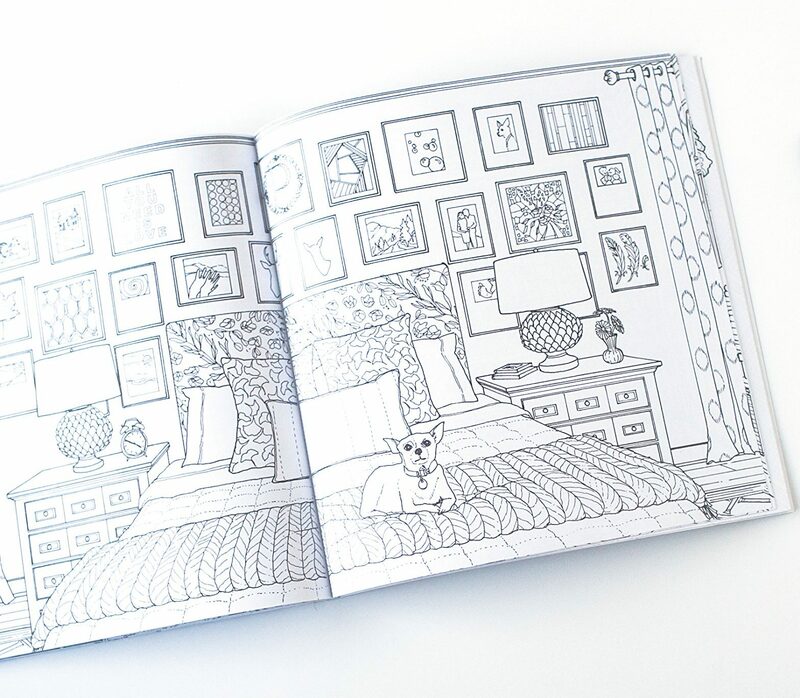 Many of the drawings capture the YHL's own home, so it's double the fun for fans of the blog. 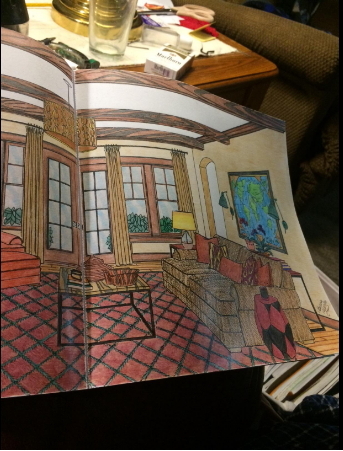 You can take their design ideas and apply your own color choices. 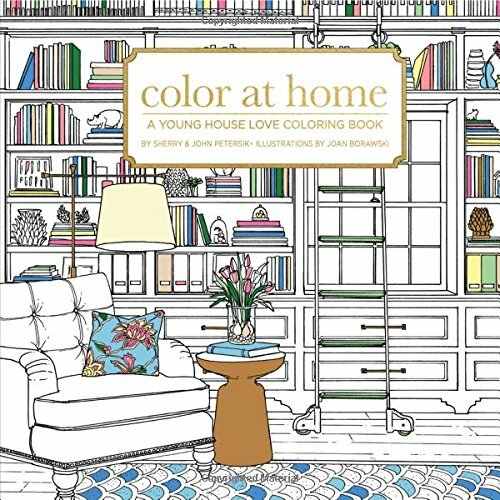 To help you get started, the book begins with a section on coloring theory and tips that could also apply to home decorating ideas. It's a fun way to try out color schemes and different looks without having to break out buckets of paint. The book is well constructed with premium white paper and perforated pages. 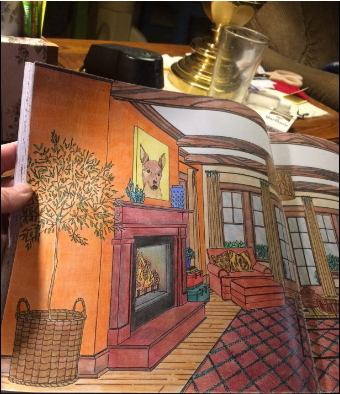 Not only do the perforations make it easy to remove pages for coloring, you can make good clean copies and try different color combos with the illustrated scenes. 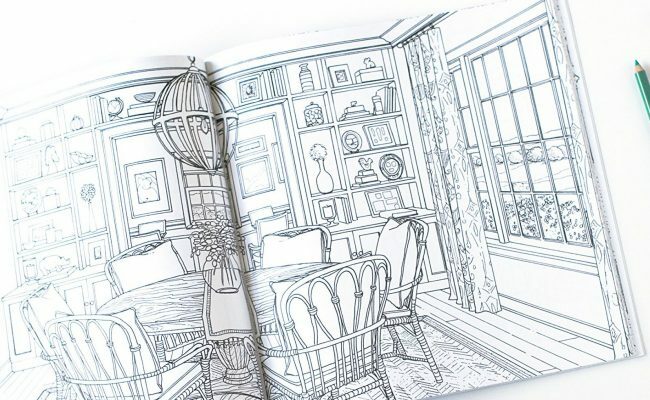 There are 27 gorgeous interiors to color, including 15 beautifully detailed two-page spreads. It's a wonderful way to explore decorating ideas and color choices. You can play with renovation plans and interior design themes. 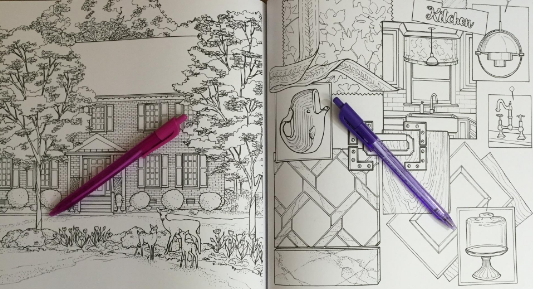 And it comes with all the relaxing benefits that coloring books in general can confer. So grab a copy - you're sure to love it!